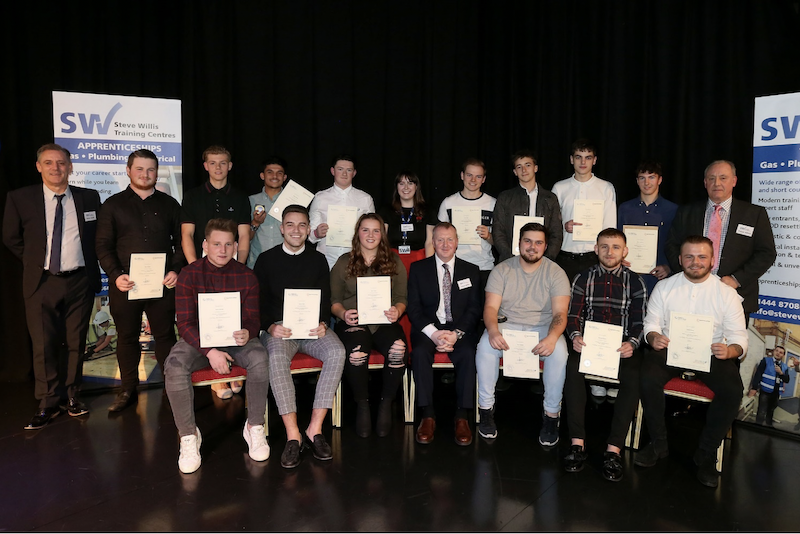 Fifty newly qualified plumbers and gas engineers from Steve Willis Training Centres were joined by their families, employers and guests from across the industry at the 2018 Apprenticeship Graduations this month. Held over two evenings, it was a chance to celebrate the apprentices’ hard work and to mark the completion of their gas and plumbing apprenticeships with the presentation of certificates and several special recognition awards including Apprentice of the Year in each trade. Steve Willis Training Centres has over 17 years’ experience in gas, plumbing and electrical training.